The large anti-bacterial pressure mat is placed on the floor and simply connects to your nursecall system activating a standard call when a resident steps on it. The unit comes with a 2.5 metre lead and plugs onto the call unit jack socket. The mat measures approx. 610 x 910 mm. A smaller standard version is available. We also have extensions if you need a longer length. If a resident needs access to your call system when they are away from their call point, these attractively styled pear leads are the perfect solution. They are available in 2, 4, 6 & 8 metre lengths and the right-angled jack plug reduces the chance of damage by furniture movement. Each unit is supplied complete with a clip fastener, so the unit can be attached to clothing or bed sheets if necessary. In the event that a lead is pulled out of its socket, a standard alarm call is generated. 18/06/14 - Now back in stock! The new USB programming module is used to program the software configurable devices such as resident and staff call triggers as well as system interfaces (pager, printer or PC logging) and text on 617 & 717 power supply units. For residents who have difficulty activating a standard call lead; these units require significantly less pressure over a larger surface area to generate a call. Bed wetting enuresis monitor for both Intercall 600 and 700 systems. Ideal for higher risk residents bed or chair versions available. These sensors work in reverse to our standard pressure mat and alert the staff via a standard call on the nursecall when weight is lifted from the mat. 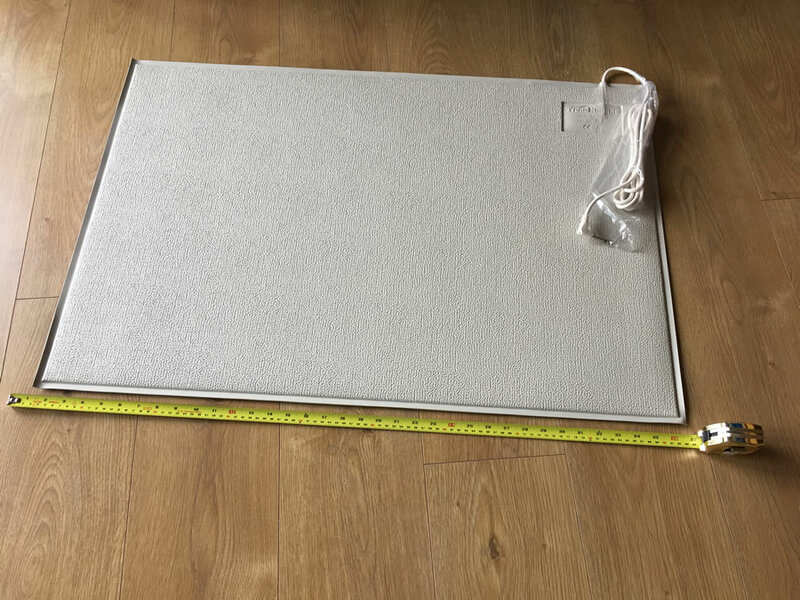 The large pressure mat is placed on the floor and simply connects to your nursecall system activating a standard call when a resident steps on it. The unit comes with a lead and plugs into the call unit jack socket. The mat measures 600 x 1200 mm. An adapter is also available to allow the mat and call extension lead to plugged in at the same time. This mat is foldable for easy storage, please see photos. Lock nut replacement for Intercall call unit. The Garden Call transmitter unit, together with the Intercall interface, allows the use of residents remote call pendants (CP1 and/or CP2) to operate within the garden area of your care home. When a pendant is activated it will place "garden call" on the nurse call displays. Staff accept the call and attend. Ashbourne House Care Homes Ltd.